Tiong Bahru is one of my favorite areas in Singapore. Most people make the mistake of spending too much time on Orchard Rd. when they visit the Little Red Dot, and I guess when you only have a few days, that makes sense. But if you have time to spare, hop on the MRT, and explore TB. 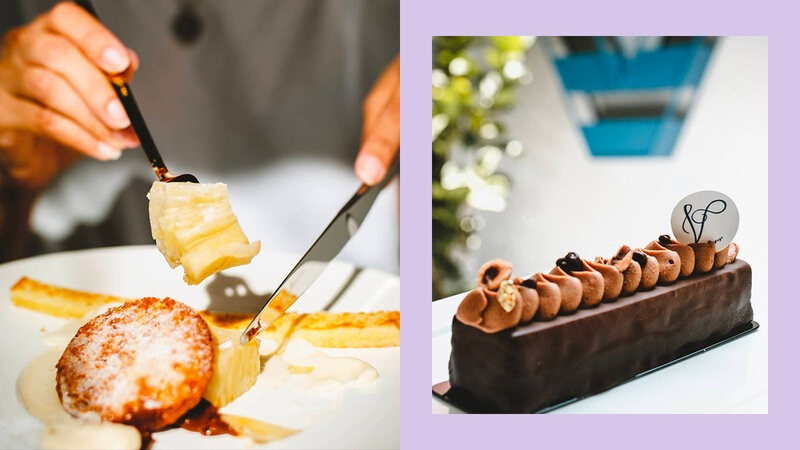 Just in February 2019, they opened another gorgeous spot called Voyage Patisserie. As the name suggests, this is a French-style cafe with the prettiest desserts. A strong contender for their best seller is the Cynthia. Shaped like a rose, this treat has lychee, raspberry, and rose chantilly cream. It costs SGD $9 or around P350. Another crowd favorite is the Louis XV, also priced at SGD $9. The chocolate mousse is on the bitter side—just how I like it. I'm naturally hesitant of anything orange, yes even when it's dessert, but I'm willing to give their Flor de Passion a chance. And who can say no to a soufflé?